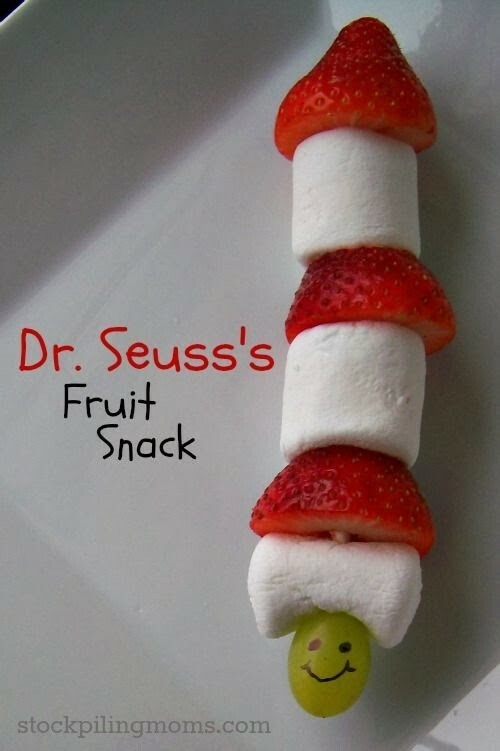 Happy Birthday Week Dr. Seuss! 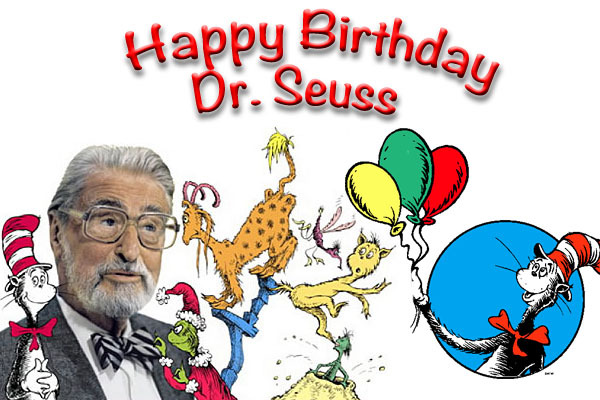 March 2nd marks the day when, 111 years ago, Theodore Seuss Geisel was born in Springfield, Massachusetts. Although usually mispronounced, Seuss, his mother’s maiden name, is correctly pronounced “Zoice” (rhymes with “Voice”). The two pen-names Theodore Geisel used were Dr. Seuss and Theo LeSieg. LeSieg’s beginner readers were written, but not illustrated, by him. Check out these titles and more from your neighborhood library branch. Make a snack following the directions here and read away! Dr. Seuss’s very first book for children! From a mere horse and wagon, young Marco concocts a colorful cast of characters, making Mulberry Street the most interesting location in town. Dr. Seuss’s signature rhythmic text, combined with his unmistakable illustrations, will appeal to fans of all ages, who will cheer when our hero proves that a little imagination can go a very long way. (Who wouldn’t cheer when an elephant-pulled sleigh raced by?) Now over seventy-five years old, this story is as timeless as ever. When a spunky mouse invites a passing bird to see what’s inside a People House, chaos ensues while beginning readers learn the names of 65 common household items –and that people are generally not pleased to find mice and birds in their houses! A super simple, delightfully silly introduction to objects around the home–from none other than Dr. Seuss!